It’s been a strange few weeks in the life of SportsChump. Never before have I seen a tribute band, unless of course you consider my Barry White on karaoke night a tribute. Some do. 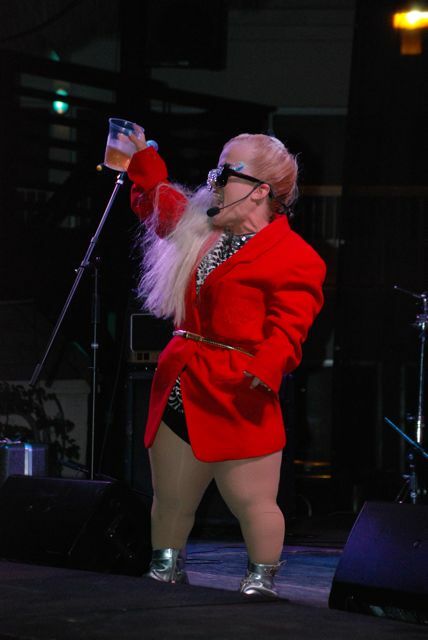 But in the past ten days, I’ve seen an Elvis impersonator, a Beastie Boys tribute band and a miniature Lady Gaga. Welcome to the oddness that has become my life. They say imitation is the sincerest form of flattery but tribute bands and impersonators have never really done anything for me. Much like bad sports movies that try to be something they’re not, most impersonators fail miserably in their attempt to portray an actual person or event. Ain’t nothin’ like the real thing, baby; any efforts to mimic are merely gratuitous. Why should I pay good money to see a Led Zeppelin cover band when I know it’s not really Led Zeppelin I’m watching, just some guy who kinda sorta sounds like Robert Plant and another who’s spent his entire life wishing he could play guitar like Jimmy Page? Am I supposed to suspend myself from reality and pretend I’m watching Zeppelin? Why can’t I just plug in Houses of the Holy and be done with it? Of the three impersonators, Elvis was the best of the bunch. I was hoping he’d grant an interview for the website but he clearly had better sense than to get involved in these shenanigans. He rocked some old school Elvis, newer school Elvis, gospel Elvis and crooning Elvis. Very realistic…even though Elvis is dead, we think. Mini Gaga was entertaining, much like a train wreck is entertaining. It was the kind of performance where the audience was laughing more at her than with her. I guess that was the point. For the record, she paled in comparison to this far more realistic Gaga impression. The Beastie Boys impersonators were solid but the original B-Boys are a tough act to recreate. They played some choice cuts from Ill Communication and Check Your Head, but in the end, fake AdRock’s voice couldn’t make it through the whole show. Believe me, what you see is what you get. I’m sure many of you are wondering what all this has to do with sports. I’m so glad you asked. As it turns out, Elvis, Lady Gaga and the Beastie Boys aren’t the only people being impersonated these days. We have Barry Bonds impersonating a baseball player who never took steroids, or at least someone who never knowingly did. We have Terrelle Pryor impersonating a Buckeye quarterback that might actually be on campus next season. We have Shaquille O’Neal impersonating someone who can still actually play the game of basketball. We have the AL East impersonating a division with five good baseball teams when they might not, in fact, have any. We have the NFL players and owners impersonating people who actually give a damn about the fans. We have the US government outlawing online poker and pretending card players won’t find another way to gamble away their hard-earned dollar. We have the Mets and Dodgers impersonating baseball teams that have some semblance of sound ownership. We have the former greatest golfer on the planet trying to impersonate Tiger Woods. We have the Maloof brothers impersonating businessmen who actually care about the good people of Sacramento. We have ESPN routinely holding mock NFL drafts as if any of it matters considering there might not be a season in 2011. We have the NBA impersonating a league that’s currently celebrating its playoffs while ignoring the fact that they might not have a season either. We have the BCS impersonating the best way to determine college football’s national champion. And we have the NCAA pretending to care about is student athletes, profiting off of their marketability while condemning them from receiving any sort of financial benefit. I guess impersonators are a lot more common than I thought. It turns out I’ve been watching them all along and never knew it. This entry was posted in Card Table, Diamond, Featured, Hardwood, Life of Sports Chump, Music, Pigskin, Tee Box and tagged AL East, Barry Bonds, BCS, Beastie Boys, Elvis Presley, ESPN, Jimmy Page, Lady Gaga, Led Zeppelin, Los Angeles Dodgers, Mini Gaga, MLB, NBA, New York Mets, NFL, Ohio State Buckeyes, PGA, Robert Plant, Shaquille O'Neal, Terrelle Pryor, Tiger Woods by Chris Humpherys. Bookmark the permalink. Am I boring you, sir? Or are you just catching up on your sleep, awaiting Celtics-Knicks Game Three? I was lucky enough to see the real Led Zeppelin in old Tampa Stadium. Unfotunetly I only got to hear 2 songs before the bottom dropped out of a giant thunderhead that moved over the Big Sombrero. I’d love to hear your Barry White, but then you’d be forced to hear my terrible Don Henly. Have a great weekend Rev. Funny! Great stuff & the sports tie-in was terrific ( was wondering how you’d do that?). Good job on a very creative & fun read SC (aka: Karaoke King)! The Fab Four came to TPA a couple years ago and I caught their act which was very good! They actually managed to suspend the disbelief a few times. 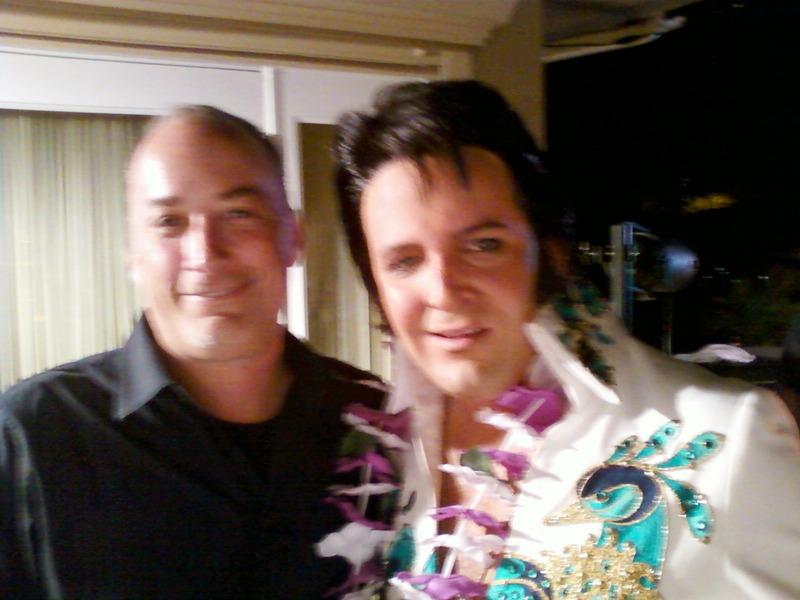 The best Elvis (and most other)impersonators are in Vegas, baby. Also, there’s no sense in the Bolts impersonating a contender for Lord Stanley’s prize tomorrow. Well, no one can be on all the time. While I usually fine your column informative and funny, this time you lost me at Barry Bonds. There’s always tomorrow. Sorry. The real Zep. Nice. I love when you show your age. Aer, the elder statesman in the room. Color me jealous! Glad you enjoy the posts… and the renditions, he he. Good call on the Lightning, Yaz. Two heartbreaking losses will be tough to overcome. This team needs a goalie. I thought for sure you’d enjoy my dig on Shaq. Too bad you didn’t make it that far. Yeah, Chap. That whole thing reminded me of when fans would hold up those life-size, bikini model posters in Salt Lake City every time Larry Bird would attempt to shoot a free throw. Which raises two interesting questions: a) Didn’t Jazz fans realize Larry Bird was an asexual basketball machine? and b) Where the hell did the good people of Utah get pictures of girls in bikinis? And finally, there’s a woman named Shannon Gaga. You should Google her. She’s something of a meme. Let’s just say that Shannon is about six times the woman that Mini is, yet somehow equally as frightening. I was always a big Led Zeppelin II guy. Something about going from “Heartbreaker” to “Living Loving Maid” to “Ramble On.” Doesn’t get much better than that. How innovative can you be if you’re only doing something that someone else has already done, not to mention the fact that you’re trying to do it EXACTLY LIKE THEM? Furthermore, if you haven’t checked out “Awesome, I Shot That,” I highly recommend doing do. Basically, the Boys give about 30 fans each a movie camera at one of their shows, then edit all the film once they get ’em back. Betcha can’t watch it just once. You don’t know what you’re missing by not checking out more tribute bands, CH. They are either, very good, or very bad…. either way, very entertaining. Except for that one time in Norfolk Scope when I fell asleep during Help!, a Beatles’ tribute show. I like Snake… a man of few letters. You’re right. Either way, they make for good material for the site, huh? And if you ever had a look at Snake’s wife, you’d understand why he comments briefly, then leaves. That plus he’s currently praying to the Ray Allen altar. Appears to be working. Kid is on FIRE! You know how I know Shaq’s gone off the reservation ? It’s the fact that he’s now hookin’ up with one of Flava Flav’s cast offs from his reality show . So you were sayin’ about an MVP merely being the best player on the team and not having to lead by example but merely being there ? . My belief it’s not simply ’bout being the best player but also making those around step up their game . Who on the Magic is actually doing that Chris as of now beyond Howard ? If the guys around him are stinkin’ up the joint don’t you believe he’s got to be setting an example not only from his play and letting his guys to step it up ? And by the way you say technicals don’t matter ? One more for Dwight in any of the remaining games of this he sits out a game in this series or ensuing series as it’s mandatory under the NBA . Oh there was a sighting of Joe Johnson last night . Screw that I can’t believe it ! Brief But Not Breaking Sports Stories ………. I’ve seen a few cover bands as well Stones, Beatles and as usual the Elvis and even a Little Richard impersonator . It’s getting to the point I can’t watch the Knicks play and then hear the perfunctory excuses from DAntoni ! Watching them as akin to watching the after birth being removed as the birth of a child takes place . You know there are parts that are of some use but in essence most of it is actually garbage ! Well, Al, I guess we’ll just agree to disagree. His numbers showed he had a pretty stout season, but actually, I’m done defending the guy. Between the techs and even worse, BITCHING about the techs, I’m not sure he can carry this team past the Hawks. You’ve said recently that the Hawks are afraid of their own shadow. Well, when they win this series, what does that say about Orlando? I don’t want to say anymore as I’ll have plenty to say about the series in a post when it’s all over and Atlanta is playing Chicago. I think the Knicks are a work in progress. We’ll see whether D’Antoni’s the right guy for the job. How about this…. Phil Jackson. As an impartial viewer, I love how the Celtics out-toughed the Knicks last night. And how about Ray Allen? He is just deadly. Phil needs to be spendin’ his time with Jeanie Buss . Why the hell would he want to coach the Knicks ? Orlando is its own worse enemy ! Otis Smith and a number of the front office executives needs to be dumped in Lake Okeechobee ! Dwight’s contract is up next season but the real problem is that the Magic are on the hook for Hedo’s , J Rich’s Q-Rich’s (1) and Arenas’ ….. bloated contracts for the next two to three years . Sound judgment ? I think he’s (Dwight) off to greener pastures myself because the core of this team simply isn’t good enough ! Both you and I know it ! Spurs are making me and the dog (Buster) look bad . Every time they’ve been on tv in their playoff series he begins to bark . Should I take it as a bad sign or not or take him to a vet ? LOL,LOL,LOL !!! What the hell is wrong with people at the moment ? Haven’t they any respect for military vets ? A buddy and I were in a bar over the weekend (O-town ) before I went to see the girlfriend at her business . Two guys are in there mocking this young kid who’d lost an arm (right) and his right leg beneath the knee to an IED . These a-holes are mocking this kid and joking that he’s the reason why the country is viewed as a bunch of puss_es ! I intervened in no uncertain terms that I’d gladly take each of ’em outside and kick their a_s purely for the pleasure ! Isn’t it bad enough that we’ve got these f_ckin’ morons outside demonstrating at the funerals of fallen soldiers without this sh_t happening ? I see that the Fins’ Brandon Marshall’s wife chose to use him as a pin cushion ? She apparently stabbed him in the abdomen missed any critical arteries but he had to be kept in hospital overnight . Nothing’s changed since he left the Broncos then ? What , ….. he’d been busted on at least two occasions for domestic violence and abuse while he was with the team . Never mind the DUI and his other problems with McDaniels while he was coach there . The wife was the one arrested as she was viewed as the aggressor and antagonist in the incident . However she’s stated she was defending herself as her husband had a choke hold on her . I’d like to thank the Nuggets for a great series but they’re simply nowhere as good as the Thunder ! Westbrook , Harden, Ibaka and Durant carved through that Nuggets’ defense like a knife through butter ! Very nice, I’ll have you up soon and then send you the link. You also may want to check this out…. I’m just saying, Al, if/when the Knicks land Chris Paul, that could be a nasty trio and we both know Phil’s always wanted to coach his former team. Again, I’m not going to say too much about the Hawks-Magic series just yet as I plan on breaking it all down once the Hawks close the deal. But let’s just say I’m not surprised. And I didn’t give the Nuggets as much of a chance in that series as everyone else did. I just want to see how the Thunder will fare in later rounds. Heck, they might even be playing the Grizzlies. Sorely lickin’ my wounds at the moment watching the Spurs ! It’s like watchin’ a ho’ give up the goods for nuthin’ ! Every single member of that Spurs’ team needs to boot up their a_s ! The Fins’ Marshall say it’s just a misunderstanding that led to his injury . You don’t say ? Pi_s a woman off and she stabs your a_s that’s no misunderstanding …. ‘nough said . If the AG of Utah is prepared to challenge the BCS in the Federal Court System and they somehow end up with a verdict going their way you know the s_it will hit the fan don’t you ? So the players have their injunction against the NFL owners but that’s about to be shortlived as the owners will challenge Judge Illston’s verdict and get a stay executed further rendering it null and void . If the Knicks landed on the damn moon their fortunes wouldn’t change a damn bit ! How can you say that knowing that this team can’t play any friggin’ defense ? That’s what has let them down and all the while idiots out there are hyping up the Knicks as if they’re the second coming of Christ ! They’re a friggin’ god-damn joke and you know it ! They need to get rid of both DAntoni and Donnie Walsh as both are useless ! They’re knowledge of the NBA and what it takes to make a winner could be written on the back of a friggin’ first class stamp ! That $63 million that the Magic are on the hook for looks worthwhile now doesn’t it ? Hedo , J Rich , Arenas and Q Rich ……. what have they offered the Magic in return ? This series will be over upon its return to the Amway Center ! Comment all you want Chris but you don’t build a team for the short term and then not look at its overall makeup . Or don’t you understand that ? Look at the mess of the Knicks and see how friggin bad they are and then similarly look at the Magic and their situation ? The Magic front office and Otis Smith have made a mess of things and from a financial standpoint things haven’t been made any better either at the end of the day . Let me pose this question to you if you had the money would you seriously consider investing it in buying the Dodgers given their situation as it now is ? They’re debt laden and there’s no sign that their creditors are prepared to take cents on the dollar for their debt (aprrox between $ 300-$800 million) . So what makes anyone believe that they’ve any tangible assets ? Dodgers Stadium is nothing to write home about and the real estate prices there are depreciating not appreciating . If a billionaire and philanthropist like Eli Broad* says he’s not interested that should tell you all you need to know don’t you think ? * Built up Sun Life and sold it for $18 billion . Spurs are in trouble, Al. I know anytime you get an eight seed knocking off a one, it’s a big time upset, but this one will definitely rank if the Grizz can close things out. It’s getting to the point that the government has their hand in every single sport these days. I think we’re slowly becoming Cuba. I’m not disagreeing with you on the whole D’Antoni thing. I just think they’re going to give him a chance to coach this team before firing him. Perhaps you didn’t read my piece a few months back blasting the Magic for making that deal. And yes, if I had the disposable income, I would buy the Dodgers. I’d also make sure no other baseball teams made their way into the area. Welllll, I guess it was my Pens that ended up impersonatin’. Please serve my crow without feathers. Props to the Bolts, they really stepped up, especially game 7 which was probably the best of Rolo’s career. That Bergenheim cat was awesome as well. GO BOLTS! The town has really gotten behind this team, Yaz. Heck, even I’M watching!!! Three straight sell-outs in a town that won’t even consider going to Rays games. I know we’re talking two different animals: playoff hockey versus regular season baseball but still, our economy’s in the shitter. Every night I’ve tended bar while a game has been on, everyone at the bar is glued to every minute of ice time. Caps won’t be easy to topple but we shall see. I like the way this team is playing.